*Actual On Road Price of Hero Achiever at the dealership may vary. The Achiever is a 150cc, comfortable to ride commuter motorcycle which is targeted mainly towards the college lads and even office goers. The styling, hence is something that will entice that kind of crowd. The Achiever comes with a 149cc engine which produces 13.4bhp and 12.8Nm of torque and is mated to a five-speed gearbox. The bike is available in five shades namely Black, Candy Blazing Red, Palace Muroon, Magnetic Blue, and Force Silver Metallic. Best indian family 150cc bike. Engine is so smooth seats are comfortable. I3s technology make it smart and cool. Led lamps, stand indicator and many more feature are available in this bikes. Purchased on 08 Jan 18. 1st serviceing done 2 days before. So review is based on before servicing. Daily average utilisation of bike is around 25 kms and riding not more than a speed of 50 kms per hour. Getting 51.4 kms average with Petrol premium. Plastic body parts are average quality. Engine smooth running. Sitting position is good as I am a 6" 2 toll. Comfortable seating with pillion. I took the bike on Jan and pretty much unsatisfied with it. since the bike skidss off in turning while brake is applied at lower speed. lost my confidence in driving. I have been driving bikes for quiet a long time mostly hero honda passion pro. Trusting the same experience i wanted to take another bike and took hero acheiver. 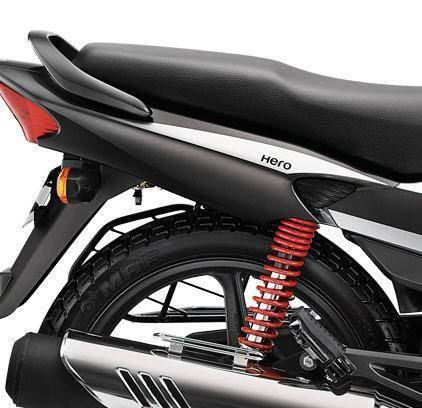 well after i took the bike i realised that it was not hero honda any more but just hero which solely is banking on customers of hero honda to sell their hero bikes. Not sure if the bike has been tested properly or its my way of driving is wrong. but if it was my way of driving then even passion pro should skid while i try to take a turn at low speed and apply brakes. Informed to hero customer care as well as took the bike to service center twice before my first service. the resolution they provided me was to check the air pressure every 3 days since its tubeless so blah blah blah... I could just say that i am pretty much dissappointed and i cant do anything now other than to drive causiously and avoid the bike as much as possible. :( i had also get this feeling that the bike rear tyre size is smaller compared to the weight of the bike. so please if the sales guy says this bike is similar to unicorn, i suggest u to take unicorn itself rather than taking a copy of it. Super comfort and great acceleration are the main plus points.